The Voyage Out: Why do so many books go unread? 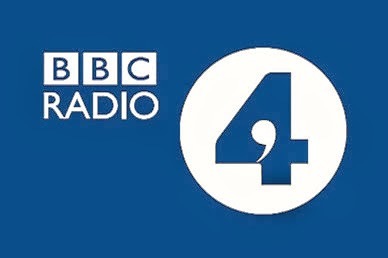 BBC radio 4 short discussion transcript. Why do so many books go unread? BBC radio 4 short discussion transcript. I was listening to the Radio 4 show, Broadcasting House, this morning and there was an interesting short interview with Dr. Rick Gekoski discussing why so many books go unread. The discussion was initiated due to a recent survey that showed their to be as much as 50% of books that are unfinished or unread or our book shelves. Because no one outside of the UK can access BBC IPlayer or their listen again option I decided to make a transcript of the interview. I hope you enjoy it. The interviewer is Paddy O'Connell. Paddy O’Connell: So, how do we end up buying so many books that lie unread forever? Joining me in the studio today is Dr. Rick Gekoski, rare book dealer and former Man Booker Judge and owner I believe of an immense number of books. Rick Gekoski – Not as many as I would like to have. I would like to have many more and many of them unread. PoC – And why do you like them to be unread? RG – Well, if you have read every book in your library, what you’re looking at is a kind of mausoleum. You’re looking at your past. When I look at my books I want to be looking at my past and my future. So, every week I buy some more books. I see some reviews; I go to a literary festival, meet somebody who has a new book out. Just because I bought it, it’s not like a lamb chop; I don’t have to eat it in three days. PoC – But you’re going to read them all sooner or later? RG – I would bet against it but I am certainly going to read a lot of them. I like to be able to walk through my house and be tempted by things on my own shelf. PoC – And what sort of book when you buy it do you read immediately and what sort of book gets pushed to the back of the shelf. Are they frankly, Rick, the ones that look to hard or a little too unappealing. RG – First of all there are loads of books that we buy but don’t read. We buy encyclopaedias, dictionaries, almanacs, cookbooks, guidebooks, reference books, art books, photography books. These are not reading books. PoC – Sounds like you have been in my house. RG – These are consulting books. Has everybody read all of their books by Nigel Slater or Jamie Oliver? Certainly not. The books that I read immediately are the easy ones. If there’s a new Lee Child out I read it on the day it comes out. If there is a new novel by Julian Barnes I would hope to read it within a month. I love Julian Barnes’ work. So, the question is how much immediate gratification is a book going to give me. And the more likely I am going to read it quickly the less likely the book is to be of quality. PoC – Do you know which one of your nooks has been there the longest and unread? RG – Oh I thing some date back to my twenties which is a very long time ago and this doesn’t bother me in the slightest. It’s not like prep school where you have to clean your plate. PoC – So you’re quite comfortable with the idea that Britain seems to be full of presumably, tens of millions, of unread books? RG – That seems to me a wonderful thing because that means tens of millions of extra sales. If the only books that sold were read immediately that means all the unread books wouldn’t have been sold. From an author’s point of view I would like to be read but I would certainly like to be purchased and not read than not purchased at all. PoC – So what do the book that we put on our shelves sat about us? Are we trying to impress other people or are we buying them to say something about ourselves? RG – Both. We buy and we read books for loads of reasons. We read them. We consult them. We are comforted by their presence. We look forward to seeing them. We use them to make a statement about ourselves. But we also use them as temptations. I absolutely adore walking around my house and seeing things that are tempting me off the shelf. Wonderful. PoC – Rick Gekoski, thank you. All the Rage by A.L. Kennedy.